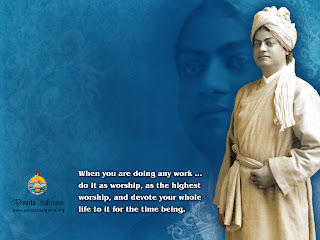 Swami Vivekananda’s inspiring personality is well known all around the World. In his own motherland Vivekananda is regarded as the patriot saint of modern India and an inspirer of her dormant national consciousness. To the Hindus he preached the ideal of a strength-giving and man-making religion. 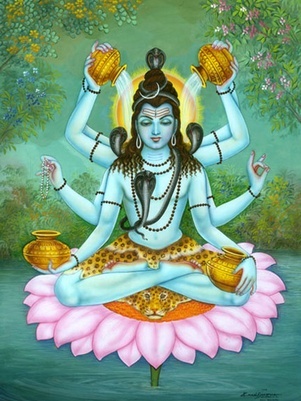 Service to man as the visible manifestation of the Godhead was the special form of worship he advocated for the Indians, devoted as they were to the rituals and myths of their ancient faith. Many political leaders of India have publicly acknowledged their indebtedness to Swami Vivekananda. In the course of a short life of thirty-nine years (1863-1902), of which only ten were devoted to public activities — and those, too, in the midst of acute physical suffering — he left for posterity his four classics: Jnana-Yoga, Bhakti-Yoga, Karma-Yoga, and Raja-Yoga, all of which are outstanding treatises on Hindu philosophy. In addition, he delivered innumerable lectures, wrote inspired letters in his own hand to his many friends and disciples, composed numerous poems, and acted as spiritual guide to the many seekers who came to him for instruction. He also organized the Ramakrishna Order of monks, which is the most outstanding religious organization of modern India. It is devoted to the propagation of the Hindu spiritual culture not only in the Swami’s native land, but also in America and in other parts of the world. Narendranath Dutta was the chief disciple of the 19th century mystic Sri Ramakrishna Paramahamsa and the founder of Ramakrishna Mission. He is considered a key figure in the introduction of Hindu philosophies of Vedanta and Yoga in Europe and America and is also credited with raising interfaith awareness, bringing Hinduism to the status of a world religion during the end of the 19th century.Vivekananda is considered to be a major force in the revival of Hinduism in modern India. He is perhaps best known for his inspiring speech beginning with “Sisters and Brothers of America”, through which he introduced Hinduism at the Parliament of the World’s Religions at Chicago in 1893. Swami Vivekananda was born in an aristocratic Bengali family of Calcutta in 1863. 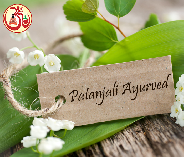 Swami’s parents influenced his thinking—the father by his rational mind and the mother by her religious temperament. From his childhood, he showed inclination towards spirituality and God realization. While searching for a man who could directly demonstrate the reality of God, he came to Ramakrishna and became his disciple. As a guru, Ramakrishna taught him Advaita Vedanta (non-dualism) and that all religions are true, and service to man was the most effective worship of God. After the death of his Guru, Vivekananda became a wandering monk, touring the Indian subcontinent and getting first-hand knowledge of India’s condition. He later sailed to Chicago and represented India as a delegate in the 1893 Parliament of World Religions. An eloquent speaker, Vivekananda was invited to several forums in the United States and spoke at universities and clubs. He conducted hundreds of public and private lectures and classes, disseminating Vedanta and Yoga in America, England and a few other countries in Europe. He also established the Vedanta societies in America and England. Later he sailed back to India and in 1897 founded the Ramakrishna Math and Ramakrishna Mission, a philanthropic and spiritual organization. For the first time in history, as has been said elsewhere, Hinduism itself forms here the subject of generalisation of a Hindu mind of the highest order. For ages to come the Hindu man who would verify, the Hindu mother who would teach her children, what was the faith of their ancestors will turn to the pages of these books for assurance and light. Long after the English language has disappeared from India, the gift that has here been made, through that language, to the world, will remain and bear its fruit in East and West alike. What Hinduism had needed, was the organising and consolidating of its own idea. What the world had needed was a faith that had no fear of truth. Both these are found here. Nor could any greater proof have been given of the eternal vigour of the Sanâtana Dharma, of the fact that India is as great in the present as ever in the past, than this rise of the individual who, at the critical moment, gathers up and voices the communal consciousness. That India should have found her own need satisfied only in carrying to the humanity outside her borders the bread of life is what might have been foreseen. Nor did it happen on this occasion for the first time. 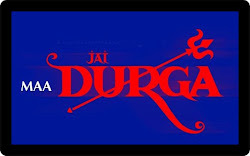 It was once before in sending out to the sister lands the message of a nation-making faith that India learnt as a whole to understand the greatness of her own thought — a self-unification that gave birth to modern Hinduism itself. Never may we allow it to be forgotten that on Indian soil first was heard the command from a Teacher to His disciples: “Go ye out into all the world, and preach the Gospel to every creature!” It is the same thought, the same impulse of love, taking to itself a new shape, that is uttered by the lips of the Swami Vivekananda, when to a great gathering in the West he says: “If one religion true, then all the others also must be true. Thus the Hindu faith is yours as much as mine.” And again, in amplification of the same idea: “We Hindus do not merely tolerate, we unite ourselves with every religion, praying in the mosque of the Mohammedan, worshipping before the fire of the Zoroastrian, and kneeling to the cross of the Christian. We know that all religions alike, from the lowest fetishism to the highest absolutism, are but so many attempts of the human soul to grasp and realise the Infinite. So we gather all these flowers, and, binding them together with the cord of love, make them into a wonderful bouquet of worship.” To the heart of this speaker, none was foreign or alien. For him, there existed only Humanity and Truth. Of the Swami’s address before the Parliament of Religions, it may be said that when he began to speak it was of “the religious ideas of the Hindus”, but when he ended, Hinduism had been created. The moment was ripe with this potentiality. The vast audience that faced him represented exclusively the occidental mind, but included some development of all that in this was most distinctive. Every nation in Europe has poured in its human contribution upon America, and notably upon Chicago, where the Parliament was held. Much of the best, as well as some of the worst, of modern effort and struggle, is at all times to be met with, within the frontiers of that Western Civic Queen, whose feet are upon the shores of Lake Michigan, as she sits and broods, with the light of the North in her eyes. There is very little in the modern consciousness, very little inherited from the past of Europe, that does not hold some outpost in the city of Chicago. And while the teeming life and eager interests of that centre may seem to some of us for the present largely a chaos, yet they are undoubtedly making for the revealing of some noble and slow-wrought ideal of human unity, when the days of their ripening shall be fully accomplished. Others stood beside the Swami Vivekananda, on the same platform as he, as apostles of particular creeds and churches. But it was his glory that he came to preach a religion to which each of these was, in his own words, “only a travelling, a coming up, of different men, and women, through various conditions and circumstances to the same goal”. He stood there, as he declared, to tell of One who had said of them all, not that one or another was true, in this or that respect, or for this or that reason, but that “All these are threaded upon Me, as pearls upon a string. 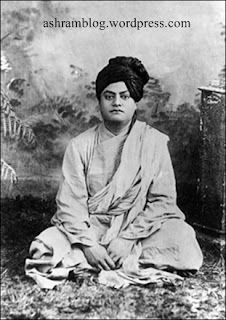 Wherever thou seest extraordinary holiness and extraordinary power, raising and purifying humanity, know thou that I am there.” To the Hindu, says Vivekananda, “Man is not travelling from error to truth, but climbing up from truth to truth, from truth that is lower to truth that is higher.” This, and the teaching of Mukti — the doctrine that “man is to become divine by realising the divine,” that religion is perfected in us only when it has led us to “Him who is the one life in a universe of death, Him who is the constant basis of an ever-changing world, that One who is the only soul, of which all souls are but delusive manifestations” — may be taken as the two great outstanding truths which, authenticated by the longest and most complex experience in human history, India proclaimed through him to the modern world of the West. For India herself, the short address forms, as has been said, a brief Charter of Enfranchisement. Hinduism in its wholeness the speaker bases on the Vedas, but he spiritualises our conception of the word, even while he utters it. To him, all that is true is Veda. “By the Vedas,” he says, “no books are meant. They mean the accumulated treasury of spiritual laws discovered by different persons in different times.” Incidentally, he discloses his conception of the Sanatana Dharma. “From the high spiritual flights of the Vedanta philosophy, of which the latest discoveries of science seem like echoes, to the lowest ideas of idolatry with its multifarious mythology, the agnosticism of the Buddhists, and the atheism of the Jains, each and all have a place in the Hindu’s religion.” To his mind, there could be no sect, no school, no sincere religious experience of the Indian people — however like an aberration it might seem to the individual — that might rightly be excluded from the embrace of Hinduism. And of this Indian Mother-Church, according to him, the distinctive doctrine is that of the Ishta Devatâ, the right of each soul to choose its own path, and to seek God in its own way. No army, then, carries the banner of so wide an Empire as that of Hinduism, thus defined. For as her spiritual goal is the finding of God, even so is her spiritual rule the perfect freedom of every soul to be itself. Yet would not this inclusion of all, this freedom of each, be the glory of Hinduism that it is, were it not for her supreme call, of sweetest promise: “Hear, ye children of immortal bliss! Even ye that dwell in higher spheres! For I have found that Ancient One who is beyond all darkness, all delusion. And knowing Him, ye also shall be saved from death.” Here is the word for the sake of which all the rest exists and has existed. Here is the crowning realisation, into which all others are resolvable. When, in his lecture on “The Work Before Us,” the Swami adjures all to aid him in the building of a temple wherein every worshipper in the land can worship, a temple whose shrine shall contain only the word Om, there are some of us who catch in the utterance the glimpse of a still greater temple — India herself, the Motherland, as she already exists — and see the paths, not of the Indian churches alone, but of all Humanity, converging there, at the foot of that sacred place wherein is set the symbol that is no symbol, the name that is beyond all sound. It is to this, and not away from it, that all the paths of all the worships and all the religious systems lead. India is at one with the most puritan faiths of the world in her declaration that progress is from seen to unseen, from the many to the One, from the low to the high, from the form to the formless, and never in the reverse direction. She differs only in having a word of sympathy and promise for every sincere conviction, wherever and whatever it may be, as constituting a step in the great ascent. The Swami Vivekananda would have been less than he was, had anything in this Evangel of Hinduism been his own. Like the Krishna of the Gitâ, like Buddha, like Shankarâchârya, like every great teacher that Indian thought has known, his sentences are laden with quotations from the Vedas and Upanishads. He stands merely as the Revealer, the Interpreter to India of the treasures that she herself possesses in herself. The truths he preaches would have been as true, had he never been born. Nay more, they would have been equally authentic. The difference would have lain in their difficulty of access, in their want of modern clearness and incisiveness of statement, and in their loss of mutual coherence and unity. Had he not lived, texts that today will carry the bread of life to thousands might have remained the obscure disputes of scholars. He taught with authority, and not as one of the Pandits. For he himself had plunged to the depths of the realisation which he preached, and he came back like Ramanuja only to tell its secrets to the pariah, the outcast, and the foreigner. It is this which adds its crowning significance to our Master’s life, for here he becomes the meeting-point, not only of East and West, but also of past and future. If the many and the One be indeed the same Reality, then it is not all modes of worship alone, but equally all modes of work, all modes of struggle, all modes of creation, which are paths of realisation. No distinction, henceforth, between sacred and secular. To labour is to pray. To conquer is to renounce. Life is itself religion. To have and to hold is as stern a trust as to quit and to avoid. Real name Narendra Nath Dutta. His father was Vishwantha Datta and mother Bhuvaneshwari Devi. Narendra was born on 12th January 1863 in Calcutta. As a child he was very lively and naughty. When Narendra stepped into boyhood, his naughtiness grew. Once a landlord threatened the children saying, “There is a demon in the tree and he swallows children.” Narendra was not impressed by this threat. He settled down on a branch. The other boys took to their heels. Narendra waited for several hours, but the demon did not appear. So, he declared that the landlord’s story was a spoof. Narendra’s father was a lawyer. So every day his house used to be crowded with his clients belonging to different castes. The clients had breakfast and lunch there. It was the custom to provide the guests with hukkas (long pipes) for smoke after food. There was a different pipe for clients of each caste. 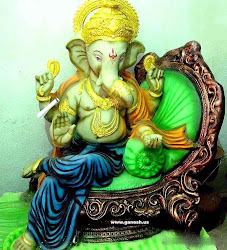 Narendra wondered what would happen if he smoked the pipe meant for people of a different caste. Finally he experimented and nothing strange happened. He concluded that caste had no meaning. He was quick and alert in his studies as well. After a single reading he could remember any lesson. His memory was amazing. Concentration was the key to his success. By 1880, Narendra passed his Matriculation and Entrance Examination. He joined a college. Day by day, his thirst for knowledge increased. He would borrow books from the library which are not related to the prescribed courses and read them to satisfy his thirst. He was particularly fascinated by the secrets of God’s creation. Apart from history and science, he was well read in Western philosophy. As he advanced in his studies, his thinking faculty developed. Doubts and uncertainties overtook him. He gave up blind beliefs but could not realize the truth. He placed his doubts before eminent scholars and sought their guidance. These scholars excelled in debate. But their logic did not convince Narendra. Their line of thinking was stale. It did not convince him, for none of them had direct experience of God. Sri Ramakrishna was a priest in a temple of Goddess Kali. He was not a scholar. But he was a great devotee. It was being said of him that he had realized God. Scholars who went to him became his disciples. Once, Narendra went with his friends to Dakshineswar to see him. Sri Ramakrishna sat surrounded by his disciples; he was immersed in discussions about God. Narendra sat in a corner with his friends. Narendra’s attractive figure and shining eyes filled him with wonder. “Can you sing?” he asked Narendra. Narendra sang a couple of Bengali songs in a melodious voice. He patted Narendra on the back and said, “My child, why are you so late? I have grown weary, waiting for all these days. I wanted to share my experiences with the right person.” And he broke down. Sri Ramakrishna’s behavior puzzled Narendra. He thought the elderly man was mad. “Will you come again? Promise me you will”, pleaded Ramakrishna. Eager to escape from him, Narendra said, “Yes, but , have you seen God?” “Of course I have. I have seen him just as I’m looking at you. I have even talked to him. I can show him to you. 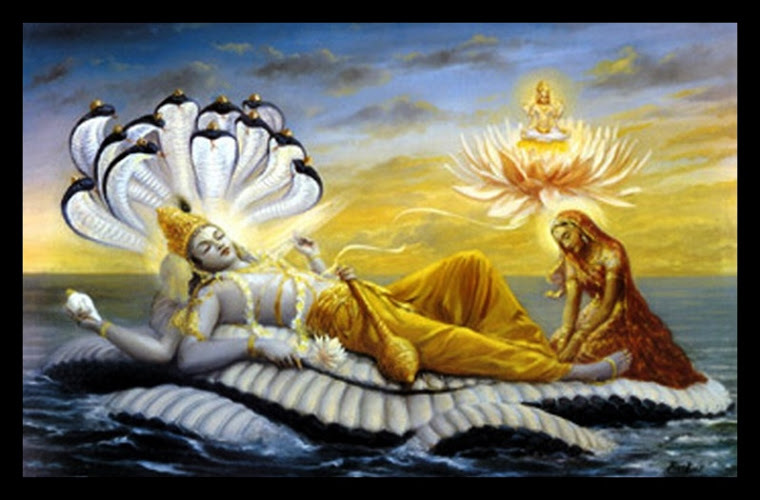 But who is yearning to see God?” replied Ramakrishna. Narendra said to himself, “Till today no one had told me he had seen God. This man looks mentally deranged; possibly he is even mad. However, it is not proper to judge without investigating.” A month passed. Narendra went alone to Dakshineswar. Ramakrishna was resting on a cot in his room. He was pleased to see Narendra; It did not take a long time for Sri Ramakrishna to realize the greatness of Narendra. Moreover, he was guided by the will of Goddess Kali. But young Narendra would not accept Ramakrishna as his guru without a test. Ramakrishna used to say that, in order to realize God, one should give up the desire for money. One day Narendra hid a rupee under his pillow. Sri RamaKrishna, who had gone out, came into the room and stretched himself on the cot. At once he jumped up as if bitten by a scorpion. When he shook the mattress, the rupee coin fell down. Later he came to know that it was the doing of Narendra. “But will they help me to realize the self?” – asked Narendra. “Then I do not want them. More than anything, I want to realize God.” Narendra’s reply filled Ramakrishna with joy. The Master had tested Narendra, and Narendra had passed the test. Gradually Narendra turned towards renunciation, giving up all worldly desires. The parents came to know of this. He was then studying for his BA degree examination. In 1884, Narendra passed the BA degree examination. A friend of his hosted a party. As Narendra was singing at the party, the news of his father’s death came like a bolt from the blue. Poverty hit the family immediately after the father’s death. The moneylenders began to harass the family. Some of them even went to a court of law. Narendra wandered far and wide looking for a job. His clothes were tattered and torn; and it was difficult even to get one meal a day. Many a day he fasted so that his mother and his brothers and sisters might have something to eat. He would tell them that he had eaten with a friend. Sometimes he would faint with hunger and fall down in the street. But in spite of such overwhelming misfortune he never lost faith in God. Sri Ramakrishna would console him saying, “You are here to serve mankind and do mother Kali’s work. You should be brave.” One day he said to himself: “God gives whatever my Guru seeks. So it is best to seek my Guru’s help.” He went straight to his Guru and said, “On my behalf kindly pray before the Goddess to rid me of this poverty. She will give you whatever you wish for, won’t she?” The Guru said, “My child, you have no faith in Her, why then will she listen to my prayer? You approach Her yourself. Then she will fulfil you need.” So in the dead of night Narendra stood before the idol of Goddess Kali. He lost himself in deep meditation. 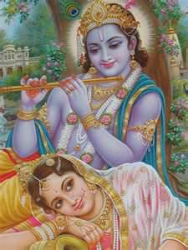 He begged the Goddess, “O Mother, bestow on me the spirit of renunciation. Let me see you, that is all I beg of you.” When he came out, the Guru asked, “Did you submit your prayer to Her? And what did She say?” Narendra said in dismay, “O! Forgot about it completely.” “Then go back and ask Her,” said the Guru. Again he forgot to speak about his poverty in his prayer to the Goddess. Again the Guru sent him. Back came Narendra and the same thing happened. The Guru’s joy knew no bounds. “My child, you should not crave for only food and clothes. They are not the ultimate goals of man. Have faith in God. He will look after the welfare of your family,” said the Guru. Later Narendra took up the profession of teaching. For some time he taught in the Vidyasagar School. Now the family had at least enough food. While he worked as a teacher he continued his study of law. His Guru’s health broke down. Sri Rama krishna developed a tumor in the throat. Narendra gave up both his job and his studies and devoted all his time to nursing his Master. Once, while Narendra was in meditation he shouted, “Where is my body?” Others had to touch his body and convince him of its existence. When Sri Ramakrishna heard this episode, he was happy that at last his desire to find a worthy disciple had been fulfilled. The disciples nursed the Guru to the best of their ability. But the thought that the Guru would not recover from the illness agonized them. His end was drawing near. On the last day he called Narendra to his bedside and touched him. He invested Narendra with all his spiritual powers. He said, “Naren, now you are all-powerful. All these are my children. 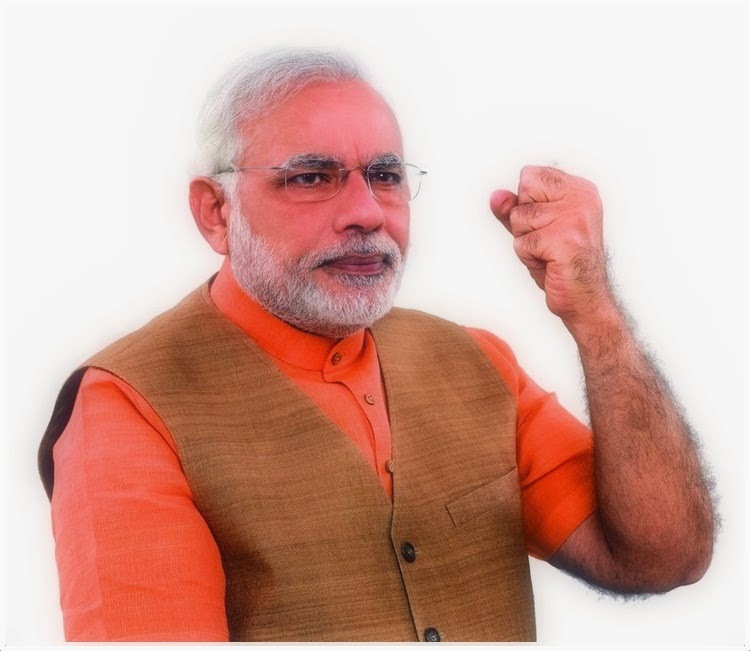 It is your duty to take care of them.” These words filled Narendra’s heart with grief. He went out of the room weeping like a child. After the passing away of Sri Rama Krishna, the young disciples went to live in a rented house in Baranagar. Although old, the house was far away from the noise and bustle of the city; and it was on the banks of the river Ganga. It was very close to the tomb of Sri Ramakrishna. So, the Mutt (monastery) was opened there. 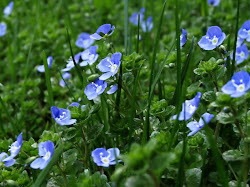 The young monks had two goals-salvation and the service of fellow men. Some young men left their homes and became monks and joined the Mutt. Narendra became a monk and headed the institution. The young sannyasis were unmindful of lack of food and clothing. But even when they fasted they did not neglect their studies and meditation. Narendra taught his brethren Sanskrit and Philosophy. To visitors he expounded the teachings of the Master. As a sannyasi, one cannot be tied to a particular place. Even the Mutt is a kind of a prison. Attachment to a particular place is also wrong. It was the great good fortune of India that Narendra took to sannyasa and became ‘ Vivekananda’. India became his home and its inhabitants his brothers. The sacred task of wiping the tears of his unfortunate brothers was dear to his heart. He had to travel all over the country. His assets were – a saffron robe, ‘Kamandalu’ (an ascetic’s waterpot) and ‘danda’ (staff). On his way he visited many holy places. He lodged at huts and choultries and slept on the bare ground. He satisfied his hunger by begging for food. He was in the company of sadhus, spending the time in religious discussions and holy rituals. He traveled on foot or by any vehicle whose driver was hospitable. Varanasi was the first city that Vivekanda visited. During his stay there, he met many scholars and exchanged ideas with them. In philosophical disputations he triumphed over them. 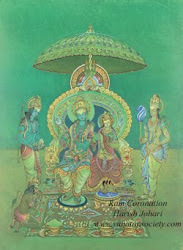 In Ayodhya, his imagination pulsated with the memory of Sri Rama and Sita. In Agra the Taj Mahal filled him with wonder. On his way to Brindavan, he smoked a hukka borrowed from a passer-by that was a fisherman; he drank water in a pariah’s house; begged for alms and accepted food from a cobbler. As he stepped into Brindavan (where Lord Krishna is believed to have lived); he was in ecstasy. At Alwar, some Muslims became his disciples. While Swamiji used to eat in their houses, he became acquainted with Maharaja Mangal Singh. Initially the Prince had no faith in the Swami. There was a heated debate between the two. “Swamiji, I have no faith in idol worship,” said the Maharaja. The Swamiji replied, “An idol is only a symbol. It is not something to sneer at. Every devotee has his own way of realizing God. It depends on the individual’s devotion.” The Prince was not satisfied with Swamiji’s explanation. There was a portrait of the Maharaja on the wall. 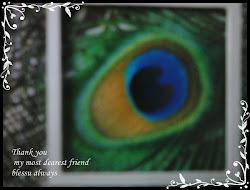 The Swamiji asked the Diwan (chief minister) by his side, “Whose picture is that?” “The Maharaja’s,” replied the Diwan. Vivekananda said, “Spit on it.” The Diwan was taken aback. “Why are you unhappy?” asked the Swamiji. The Diwan thought this man was certainly mad. Swamiji explained: “After all, the photograph is just a shadow of your Maharaja. It is devoid of flesh and blood.” “But then it reminds us of the Maharaja, does it not?” said the Diwan. Wisdom then dawned on the Maharaja. He apologized to the Swamiji. Later the Swamiji went to Mount Abu, passing through jaipur and Ajmer. He spent some time in tapas (prayer and meditation) in a cave. While Swamiji was travelling by train, in Rajasthan an interesting incident took place. He was resting in a second class compartment. Two Englishmen were profusely hurling abuses at him. They were under the impression that the Swamiji did not know English. When the train reached the station. Swamiji asked an official, in English, for a glass of water. The Englishmen were surprised; they asked Swamiji why he was silent though he could understand them. Swamiji snapped back, “This is not the first time I have met fools.” The Englishmen were enraged, but Swamiji’s formidable physique silenced them. During his travel, Swamiji could travel by train only if somebody bought him his ticket. Otherwise, he had to travel on foot. He had to starve most of the time for he had no money. Once it happened that a merchant travelling with him was helping himself to varieties of eatables. Swamiji was hungry and tired. But he did not beg for food. The merchant spoke to him tauntingly and said, “You are an idler. You wear the saffron clothes only because you do not want to work. Who will ever feed you? Who cares if you die?” Just then, a sweetmeat seller offered Swamiji some eatables and said, “I saw you in my dream this morning. ” The haughty merchant was put to shame when he saw all this. In Mysore, Swamiji got to know Diwan Swashadri Iyer and also the Maharaja of Mysore. The Swamiji’s discourse in Sanskrit at a gathering of scholars deeply impressed the Maharaja. One day he questioned the Swamiji as to his future plans. “India is the land of many religions and schools of philosophy. The Western world has progressed in science. Human welfare is possible only by a reconciliation of the two. Therefore, I want to go to America in order to propagate Vedanta,” said Swamiji. The Maharaja said, “Then I shall bear all the expenses of the visit.” Swamiji thanked the Maharaja for his offer and promised him that he would make use of it when he needed it. Swamiji next visited Ramanad. Bhaskara Setupati was the ruler of Ramanad at that time. He discussed with Swamiji the problems that the country was facing. The prince treated him with great respect. “You should attend the Conference of World Religions in America. I shall bear all your travel expenses,” said the ruler. 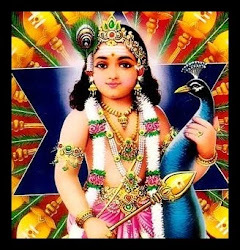 Assuring the prince that he would give serious thought to his suggestion, Swamiji went to Rameshwaram and from there he finally reached Kanyakumari. He swam to a rock and sat on it. Surrounded there by the sea, he reflected on the state of affairs in India. The thought of the poverty of the masses in this country made him miserable. He decided that unless casteism was rooted out, there could be no salvation for his countrymen. He concluded that his first task was to go Western countries and expose the spiritual values of India. He would then return to awaken his own slumbering land. It was in Madras that the little lamp that appeared in Bengali Narendra became the blazing light of all India as Vivekananda. It was there that pressure mounted on him to go to America. The fame he won in Madras traveled to Hyderabad. Thousands gathered at the meeting addressed by him there. It was the first ever-public meeting addressed by Swamiji. After he returned to Madras from Hyderabad, he started making preparations for his tour abroad. Contributions towards his travel expenses poured in from all parts of the country. But he kept with him only as much money as he needed for the journey. He returned the rest of the money to the donors. Swamiji reached the city of Chicago in the middle of July. On his way he touched at the ports of Colombo, Singapore, Hongkong and Tokyo. He chose a hotel for his stay. He made inquiry about the opening of the Conference of World Religions. It was still three months away. How was he to stay so long in a strange place? The money he had was fast disappearing. Meanwhile, an international fair was going on. Swamiji was wandering in the premises of the fair. Just then he spotted a Maharaja from India. He approached the Maharaja. But the Maharaja turned away with wry face. Since Chicago was a big city and very expensive, Swamiji moved to the city of Boston. On the way he met a lady. She was from Boston. She was amazed at Swamiji’s strange attire, his magnificent physique, and his bright eyes. She decided that he was no ordinary man. She begged Swamiji to be her guest. He agreed. Occasionally he addressed meetings at small clubs. The subject of his talk was Indian Culture and the Hindu Dharma. Gradually many scholars became his friends. One of them was John Henry. He was greatly impressed by Swamiji’s scholarship. The delegates to the Conference of World Religions had to submit their letters of introduction to the organizers. But Swamiji had lost his letter of introduction. Wright himself wrote the letter of introduction, in which he called Swamiji “A scholar who surpasses all of us.” Swamiji went back to Chicago. When he reached the city he found that he had lost the addresses of some people. The people of the city were mostly Germans and could not understand English. As a consequence, Swamiji could not stir out. Finding no way out, Swamiji curled himself in an empty box, which was lying in the railway station. The next morning he wandered about in the streets. Unable to bear his hunger, he begged for alms at some houses. He could not get anything. On the contrary he was insulted and humiliated. He was sitting on the footsteps of a playground. A lady came out of a house facing the playground and asked him, “Are you a delegate to the conference of World Religions?” The Swamiji replied, ‘Yes’. The lady said, “Please come to my house. You can bathe and have food. Then I shall take you to the Conference.” Her name was Mrs. George Hails. The conference started on 11th September 1893. Thousands of delegates belonging to deferent countries of the world had gathered at the conference. Vivekananda was the youngest of them all. When it was his turn to speak, his throat went dry. Besides, he did not have, like the other delegates, a prepared speech. He requested the President to let him be the last speaker, His turn did come as the last speaker. He prayed fervently to Sri Ramakrishna and Mother Sarada Devi, and stood up to speak. When he began his address in his pleasing voice with the words “Brothers and Sisters of America,” there was a thunderous applause. When it subsided at last he continued his short speech. He said that people born in different religions finally reach the same God, as river born in different places finally reaches the sea. He emphatically declared that no religion is superior and none is inferior. The delegates, every one of them, praised his speech. Newspapers carried his photographs and his speech. In later days people flocked chiefly to listen to his speech. He became the darling of the crowds. Whenever he rose to speak there was deafening applause. Even as the conference was in session, many institutions and associations extended invitations to Swami Vivekananda. Within a short time he became famous. Wherever he went, he dwelt at length on the greatness of Indian Culture. He spoke with spontaneous ease on every topic, be it History, Sociology, Philosophy or Literature. “He speaks without a scrap of paper in his hand. We see in him some of the qualities of Jesus himself. A strange attire, a radiant personality, a rare elegance, the skill to epitomize Hinduism superbly – with these gifts he has won the hearts of our people. He is mesmeric. He is unsurpassed in conversation. His mastery of English is exceptional. A man like him appears only once in age. We are fortunate that we can see him and hear him, “- thus the newspapers went into raptures. Till then Americans had the impression that Indians were superstitious and ignorant. Thanks to Swamiji’s persistent efforts, India was elevated to an honored position not only in America, but in the entire comity of progressive nations. Wherever Swamiji went, people flocked to listen to him and waited patiently. After the speech they would invite him to their houses and treat him as an honored guest. They would entertain him lavishly. At such times, Swamiji was constantly and painfully reminded of the poverty and squalor of India. The opulence around him would become unbearable. He spent many a sleepless and tearful night. Meanwhile, he received pressing invitations from England. A rousing reception awaited him in London when he arrived there. The newspapers were all praise for the Hindu Yogi’s oratory and outlook. Many became his disciples. Among them was Margaret Nivedita. She came to India and settled here. 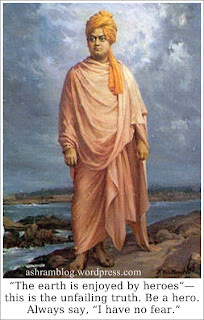 Swami Vivekananda returned to India after his foreign tour lasting four years. By the time he arrived in India, Swamiji’s fame had spread far and wide. When he landed in Colombo on 15th January 1897, he was accorded a welcome that befitted an Emperor. When he reached Madras there was an unprecedented crowd at the railway station. He was carried in procession in a coach drawn by an admiring crowd. Innumerable addresses and garlands were presented to him. Thereafter, wherever Swamiji went, he disseminated the message of his master. To those who came to him for guidance he taught the importance of spiritual development. To his fellow monks he explained the importance of dedicated service. He repeatedly told them that it was mere selfishness to look for personal salvation. He used to say, “I do not want salvation, as long as there is a single sorrow-stricken man in India.” He had realized that social service was possible only through the concerted efforts on an organized mission. That is why he started Sri Ramakrishna Mission in 1897 and formulated its ideology and goal. During the next two years he bought a site at Belur on the banks of the Ganga, constructed the buildings and established the Ramakrishna Mutt. Swamiji’s health was constantly eroded owing to tireless work. He visited many hill resorts in the Himalayas. But even there his missionary work continued. He visited many cities in North India in response to public demand. He visited America again at the invitation of his American disciples. He participated in the Conference of Religions in Paris and returned home. In spite of the entreaties of his disciples he would not rest. He became more inward looking. The body grew weak, but the mind and the soul remained alert and active. On 4th July 1902 he breathed a deep sigh and went to sleep. Within a short while he attained eternal bliss. His disciples and fellow-teachers felt orphaned and cried like children. 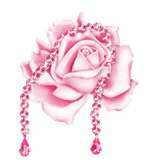 “I am the thread that runs through all these pearls,” and each pearl is a religion or even a sect thereof. Such are the different pearls, and God is the thread that runs through all of them; most people, however, are entirely unconscious of it. “I do not want to get material life, do not want the sense-life, but something higher.” That is renunciation. Then, by the power of meditation, undo the mischief that has been done. “Seek ye first the kingdom of God, and everything shall be added unto you.” This is the one great duty, this is renunciation. Live for an ideal, and leave no place in the mind for anything else. Let us put forth all our energies to acquire that which never fails–our spiritual perfection. If we have true yearning for realization, we must struggle, and through struggle growth will come. We shall make mistakes, but they may be angels unawares. After every happiness comes misery; they may be far apart or near. The more advanced the soul, the more quickly does one follow the other. What we want is neither happiness nor misery. Both make us forget our true nature; both are chains–one iron, one gold; behind both is the Atman, who knows neither happiness nor misery. These are states, and states must ever change; but the nature of the Atman is bliss, peace, unchanging. We have not to get it, we have it; only wash away the dross and see it. Always discriminate–your body, your house, the people and the world are all absolutely unreal like a dream. Always think that the body is only an inert instrument. And the Atman within is your real nature. Are you unselfish? That is the question. If you are, you will be perfect without reading a single religious book, without going into a single church or any Religious Instution. Superstions and all these mystical things are generally signs of a weak mind; therefore as soon as they are becoming prominent in our minds, we should see a physician, take good food, and rest. Be strong! … You talk of ghosts and devils. We are the living devils. The sign of life is strength and growth. The sign of death is weakness. Whatever is weak, avoid! It is death. If it is strength, go down into hell and get hold of it! There is salvation only for the brave. “None but the brave deserves the fair.” None but the bravest deserves salvation. Bless people when the revile you. Think how much good they are doing by helping to stamp out the false ego. Hold fast to the Atman, think only pure thoughts, and you will accomplish more than a regiment of mere preachers. Brave, bold men and women, these are what we want. What we want is vigor in the blood, strength in the nerves, iron muscles and nerves of steel, not softening namby-pamby ideas. Avoid all these. Avoid all mystery. There is no mystery in religion. Brave, bold people, these are what we want. What we want is vigor in the blood, strength in the nerves, iron muscles and nerves of steel, not softening namby-pamby ideas. Avoid all these. Avoid all mystery. There is no mystery in religion. By doing well the duty which is nearest to us, the duty which is in our hands now, we make ourselves stronger; and improving our strength in this manner step by step, we may reach a state in which it shall be our privilege to do the most coveted and honored duties in life and in society. Change is always subjective. All through evolution you find that the conquest of nature comes by change in the subject. Apply this to religion and morality, and you will find that the conquest of evil comes by the change in the subjective alone. That is how the Advaitic system gets its whole force, on the subjective side of man. Change is always subjective. To talk of evil and misery is nonsense, because they do not exist outside. If I am immune from all anger, I never feel angry. If am immune from all hatred, I never feel hatred. Desire, want, is the father of all misery. Desires are bound by the laws of success and failure. Desires must bring misery. The great secret of true success, of true happiness, is this: the person who asks for no return, the perfectly unselfish person, is the most successful. Discriminate within yourself between the real and the unreal. Have you not read the Vedanta? Even when you sleep, keep the sword of discrimination at the head of your bed, so that covetousness cannot approach you even in dream. Practicing such strength, renunciation will gradually come, and then you will see the portals of heaven are wide open to you. Do not hate anybody, because that hatred which comes out from you must, in the long run, come back to you. If you love, that love will come back to you, completing the circle. Do you think these sannyasi children of Sri Ramakrishna are born to simply to sit under trees lighting dhuni-fires? Whenever any of them will take up some work, people will be astonished to see their energy. Learn from them how to work. Experience is the only teacher we have. We may talk and reason all our lives, but we shall not understand a word of truth until we experience it ourselves. Fear is death, fear is sin, fear is hell, fear is unrighteousness. All the negative thoughts and ideas that are in this world have proceeded from this evil spirit of fear. Him I call a Mahatma (“great soul”) whose heart bleeds for the poor, otherwise he is a Duratma (“wicked soul”). Let us unite our wills in continued prayer for their good. I hate this world, this dream, this horrible nightmare, with its churches and chicaneries, its books and blackguardisms, its fair faces and false hearts, its howling righteousness on the surface and utter hollowness beneath, and, above all, its sanctified shopkeeping. I have been asked many times, “Why do you laugh so much and make so many jokes?” I become serious sometimes–when I have a stomachache! The Lord is all blissfulness. He is the reality behind all that exists. He is the goodness, the truth in everything. You are His incarnations. That is what is glorious. The nearer you are to Him, the less you will have occasions to cry or weep. The further we are from Him, the more will long faces come. The more we know of Him, the more misery vanishes. If a person who lives in God becomes miserable, what is the use of living in God? What is the use of such a God? Throw such a God overboard into the Pacific Ocean. We do not want such a God! If one who lives in the Lord becomes miserable, what is the use of living in Him? What is the use of such a God? Throw Him overboard into the Pacific Ocean. We do not want Him. If there is no strength in body and mind, the Atman cannot be realized. First you have to build the body by good nutritious food—then only will the mind be strong. If you really want the good of others, the whole universe may stand against you and cannot hurt you. It must crumble before your power of the Lord Himself in you if you are sincere and really unselfish. If you want to be a yogi, you must be free, and place yourself in circumstances where you are alone and free from all anxiety. One who desires a comfortable and nice life and at the same time wants to realize the Self is like the fool who, wanting to cross the river, caught hold of a crocodile, mistaking it for a log of wood. If you want to be a Yogi, you must be free, and place yourself in circumstances where you are alone and free from all anxiety. 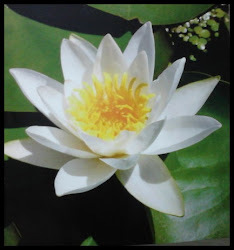 One who desires a comfortable and nice life and, at the same time, wants to realize the Atman is like the fool who, wanting to cross the river, caught hold of a crocodile mistaking it for a log of wood. In Buddha we had the great, universal heart and infinite patience, making religion practical and bringing it to everyone’s door. In Shankaracharya we saw tremendous intellectual power, throwing the scorching light of reason upon everything. We want today that bright sun of intellectuality joined with the heart of Buddha, the wonderful infinite heart of love and mercy. This union will give us the highest philosophy. Science and religion will meet and shake hands. Poetry and philosophy will become friends.What! Those giants of old, the ancient Rishis, who never walked but strode, of whom if you were to think but for a moment you would shrivel up into a moth, they sir, had time–and you have no time! In the world take always the position of the giver. Give everything and look for no return. Give love, give help, give service, give any little thing you can, butkeep out barter. Make no conditions and none will be imposed. Let us give out of our own bounty, just as God gives to us. Is there any sexor distinction in the Atman (Self)? Out with the differentiation between man and woman—all is Atman! Give up the identification with the body, and stand up! It is always for greater joy that you give up the lesser. This is practical religion—the attainment of freedom, renunciation. Renounce the lower so that you may get the higher. Renounce! Renounce! Sacrifice! Give up! Not for zero. Not for nothing, but to get the higher. It is always for greater joy that you give up the lesser. This is practical religion–the attainment of freedom, renunciation. Renounce the lower so that you may get the higher. Renounce! Renounce! Sacrifice! Give up! Not for zero. Not for nothing. But to get the higher. It is only by doing good to others that one attains to one’s own good. It is only work that is done as freewill offering to humanity and to nature that does not bring with it any binding attachment. Jnana teaches that the world should be given up, but not on that account to be abandoned. To be in the world but not of it—is the true test of the sannyasin. Learn to feel yourself in other bodies, to know that we are all one. Throw all other nonsense to the winds. Spit out your actions, good or bad, and never think of them again. What is done is done. Throw off superstition. Have no weakness even in the face of death. Do not repent, do not brood over past deeds. Be âzâd (“free”). Let each one of us pray day and night for the downtrodden millions who are held fast by poverty, priestcraft, and tyranny. Pray day and night for them. I care more to preach religion to them than to the high and the rich. Let each one of us pray day and night for the downtrodden millions, who are held fast by poverty, priestcraft, and tyranny. Pray day and night for them. I care more to preach religion to them than to the high and the rich. I am no metaphysician, no philosopher, nay, no saint. But I am poor and I love the poor. Let us put forth all our energies to acquire that which never fails—our spiritual perfection. If we have true yearning for realization, we must struggle, and through struggle growth will come. We shall make mistakes, but they may be angels unawares. Live for an ideal, and that one ideal alone. Let it be so great, so strong, that there may be nothing else left in the mind; no place for anything else, no time for anything else. Look here–we shall die! Bear this in mind always, and then the spirit within will wake up. Only then will meanness vanish from you, practicality in work will come, you will get new vigor in mind and body, and those who come in contact with you will also feel that they have really got something uplifting from you. Look here—we shall die! Bear this in mind always, and then the spirit within will wake up. Then meanness will vanish from you, practicality in work will come, you will get new vigor in mind and body, and those who come in contact with you will also feel that they have really got something uplifting from you. Love is always mutual and reflective. You may hate me, and if I want to love you, you repulse me. But if I persist, in a month or a year you are bound to love me. It is a well-known psychological phenomenon. Many of us get many messages in our lives, or think we get them. As long as the message is regarding our own selves, go on doing what you please. But when it is in regard to our contact with and behavior to others, think a hundred times before you act upon it—and then you will be safe. May I be born again and again, and suffer thousands of miseries so that I may worship the only God that exists, the only God I believe in, the sum total of all souls–and, above all, my God the wicked, my God the miserable, my God the poor of all races, of all species, is the special object of my worship. Meditation means the mind is turned back upon itself. The mind stops all the thought-waves and the world stops. Your consciousness expands. Every time you meditate, you will keep your growth. My child, what I want is muscles of iron and nerves of steel, inside which dwells a mind of the same material as that of which the thunderbolt is made. No one should be judged by their defects. The great virtues a person has are his or her especially. But their errors are the common weakness of humanity and should never be counted in estimating a person’s character. No one should be judged by their defects. The virtues a person has are his especially; his errors are the common weaknesses of humanity and should never be counted in estimating his character. Not even the deepest sleep will give you such a rest as meditation can. The mind goes on jumping even in deepest sleep. Just those few moments in meditation your brain has almost stopped. … You forget the body. … You feel such pleasure in it. You become so light. This perfect rest we will get in meditation. 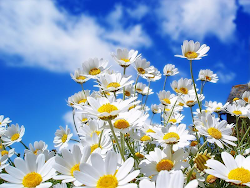 Oh, to live even for a day in the full light of freedom, to breathe the free air of simplicity! Isn’t that the highest purity? Out of purity and silence comes the word of power. Put God behind everything—human beings, animals, food, and work. Make this a habit. Put God behind everything—people, animals, food, work. Make this a habit. Realize yourself. That is all there is to do. Know yourself as you are—infinite spirit. That is practical religion. Everything else is impractical, for everything else will vanish. Renounce and give up. What did Christ say? “He that loseth his life for my sake shall find it.” Again and again did he preach renunciation as the only way to perfection. There comes a time when the mind awakes from this long and dreary dream—the child gives up its play and wants to go back to its mother. Renunciation is the very basis of our true life. Every moment of goodness and real life that we enjoy is when we do not think of ourselves. Some people are so afraid of losing their individuality. Wouldn’t it be better for the pig to lose his pig-individuality if he can become God? Yes. But the poor pig does not think so at the time. Which state is my individuality? When I was a baby sprawling on the floor trying to swallow my thumb? Was that the individuality I should be sorry to lose? Fifty years hence I shall look upon this present state and laugh, just as I now look upon the baby state. Which of these individualities shall I keep? Stand as a rock; you are indestructible. You are the Self, the God of the universe. Stick to God! Who cares what comes to the body or to anything else! Through the terrors of evil, say—my God, my love! Through the pangs of death, say—my God, my love! Through all the evils under the sun, say my God, my love! Stick to God! Who cares what comes to the body or to anything else! Through the terrors of evil, say–my God, my love! Through the pangs of death, say–my God, my love! Through all the evils under the sun, say–my God, my love! Thou art here, I see Thee. Thou art with me, I feel Thee. I am Thine, take me. I am not of the world’s but Thine, leave not then me. Strength is life, weakness is death. Strength is felicity, life eternal, immortal. Weakness is constant strain and misery; weakness is death. Take up one idea. Make that one idea your life—think of it, dream of it, live on that idea. Let the brain, muscles, nerves, every part of your body, be full of that idea, and just leave every other idea alone. This is the way to success, and this is the way great spiritual giants are produced. Others are mere talking machines. Take up one idea. Make that one idea your life–think of it, dream of it, live on that idea. Let the brain, muscles, nerves, every part of your body, be full of that idea, and just leave every other idea alone. This is the way to success, and this is the way great spiritual giants are produced. Others are mere talking machines. 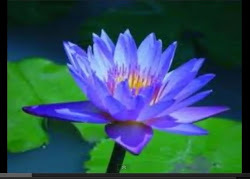 The Atman alone is eternal. Hospitals will tumble down. Railroad givers will all die. This earth will be blown to pieces, suns wiped out. The Atman endures for ever. The disciple must have great power of endurance. Bear all evil and misery without one thought of unhappiness, resistance, remedy, or retaliation. That is true endurance, and that you must acquire. The disciple must have great power of endurance. Life seems comfortable; and you find the mind behaves well when everything is going well with you. But if something goes wrong, your mind loses its balance. That is not good. Bear all evil and misery without one murmur of hurt, without one thought of unhappiness, resistance, remedy, or retaliation. That is true endurance; and that you must acquire. The greatest help to spiritual life is meditation. In meditation we divest ourselves of all material conditions and feel our divine nature. We do not depend upon any external help in meditation. The greatest religion is to be true to your own nature. Have faith in yourselves! If you do not exist, how can God exist, or anybody else? The greatest religion is to be true to your own nature. Have faith in yourselves! If you do not exist, how can God or anybody else exist? The greatest sin is to think that you are weak. No one is greater: realize that you are Brahman. Nothing has power except what you give it. The important thing is how much less you think of the body, of yourself as matter—as dead, dull, insentient matter; how much more you think of yourself as shining immortal being. The more you think of yourself as spirit, the more eager you will be to be absolutely free from matter, body and senses. This is the intense desire to be free. The important thing is: how much less you think of the body, of yourself as matter–as dead, dull, insentient matter; how much more you think of yourself as shining immortal being. The more you think of yourself as shining immortal spirit, the more eager you will be to be absolutely free of matter, body and senses. This is the intense desire to be free. The Kingdom of Heaven is within us. God is within us. He is the Soul of our souls. See Him in your own soul. That is practical religion. That is freedom. The less the thought of the body, the better it is. For it is the body that drags us down. It is attachment, identification which makes us miserable. That is the secret: to think that I am the spirit and not the body, and that the whole of this universe with all its relations, with all its good and all its evil, is but as a series of paintings–scenes on a canvas–of which I am the witness. The moment you fear, you are nobody. It is fear that is the great cause of misery in the world. It is fear that is the greatest of all superstitions. It is the fear that is the cause of our woes, and it is fearlessness that brings heaven in a moment. The moment you fear, you are nobody. It is fear that is the greatest cause of misery in the world. It is fear that is the greatest of all superstitions. It is fear that is the cause of our woes, and it is fearlessness that brings heaven in a moment. The more we grow in love and virtue and holiness, the more we see love and virtue and holiness outside. All condemnation of others really condemns ourselves. Adjust the microcosm (which is in your power to do) and the macrocosm will adjust itself for you. The more we grow in love and virtue and holiness, the more we see love and virtue and holiness outside. All condemnation of others really condemns ourselves. Adjust the microcosm (which is in your power to do) and the macrocosm will adjust itself for you. It is like the hydrostatic paradox, one drop of water can balance the universe. The nature of the brute is to remain where he is, of a human being to seek good and to avoid evil, and of God to neither seek nor avoid but just to be eternally blissful. Let us be Gods, let us make our hearts like an ocean, to go beyond all the trifles of the world and see it only as a picture. We can then enjoy it without being in any way affected by it. The nature of the brutes is to remain where they are, of human beings to seek good and avoid evil, and of God to neither seek nor avoid but just to be blissful eternally. Let us be like God. The nearer we are to God, the less we will have occasions to cry or weep. The further we are from God, the more will long faces come. The more we know God, the more misery vanishes. The one eternal religion is applied to the opinions of various minds and various races. There never was my religion or yours, my national religion or your national religion; there never existed many religions, there is only the one. One infinite religion existed all through eternity and will ever exist, and this religion is expressing itself in various countries in various ways. The sages are often ignorant of physical science, because they read the wrong book—the book within; and the scientists are too often ignorant of religion, because they too read the wrong book—the book outside. The weak have no place here, in this life or any other life. Weakness leads to slavery. Weakness leads to all kinds of misery, physical and mental. Weakness is death. The weak have no place here, in this life or in any other life. Weakness leads to slavery. Weakness leads to all kinds of misery, physical and mental. Weakness is death. The weak, the fearful, the ignorant will never reach the Atman. You cannot undo what you have done; the effect must come. Face it, but be careful never to do the same thing again. Give up the burden of all deeds to God. Give all, both good and bad. God helps those who do not help themselves. The will is stronger than anything else. Everything must go down before the will, for it comes from God. A pure and strong will is omnipotent. The wind of divine grace is blowing on for ever and ever. Do you spread your sail. Whenever you do anything, do it with your whole heart concentrated on it. There is hope for all. None can die; none can be degraded forever. Life is but a playground, however gross the play may be. However we may receive blows, and however knocked about we may be, the Atman is there and is never injured. We are that Infinite. There is one thing to be remembered: that the assertion–I am God–cannot be made with regard to the sense-world. There is only one sin and it is: weakness. When I was a boy, I read Milton’s Paradise Lost. The only good man I had any respect for was Satan. The only saint is that person who never weakens, faces everything, and determines die game. There is only one sin. That is weakness…. The only saint is that soul that never weakens, faces everything, and determines to die game. There is only one sin—and that sin is weakness. When I was a boy, I read Milton’s Paradise Lost. The only good man I had any respect for was Satan. The only saint is the soul who never weakens, faces everything, and determines to die game. They alone live whose lives are in the whole universe. The more we concentrate our lives in limited things, the faster we go towards death. Those moments alone we live when our lives are in the universe, in others; and living this little life is death, simply death, and that is why the fear of death comes. Think always, “I am ever-pure, ever-knowing, and ever-free. How I can do anything evil? Can I ever be fooled like ordinary people with the insignificant charms of lust and wealth?” Strengthen the mind with such thoughts. This will surely bring real good. This is the secret of spiritual life: to think that I am the Atman and not the body, and that the whole of this universe with all its relations, with all its good and all its evil, is but as a series of paintings—scenes on a canvas—of which I am the witness. This little separate self must die. Then we shall find that we are in the Real, and that Reality is God, and He is our own true nature, and He is always in us and with us. Let us live in Him and stand in Him. It is the only joyful state of existence. This world is nothing. It is at best only a hideous caricature, a shadow of the Reality. We must go to the Reality. Renunciation will take us to It. Those who have succeeded in attaching or detaching their minds at will have succeeded in Pratyahara, which means “gathering towards,” checking the outgoing powers of the mind, freeing it from the thralldom of the senses. When we can do this, we shall really possess character; then alone we shall have taken a long step towards freedom. Before that, we are mere machines. To realize the spirit as spirit is practical religion. Everything else is good so far as it leads to this one grand idea. To realize the spirit as spirit is practical religion. Everything else is good so far as it leads to this one grand idea. That realization is to be attained by renunciation, by meditation—renunciation of all the senses, cutting the knots, the chains that bind us down to matter. To succeed you must have tremendous perseverance, tremendous will. “I will drink the ocean,” says the persevering soul, “at my will mountains will crumble.” Have that sort of energy, that sort of will, work hard, and you will reach the goal. To succeed, you must have tremendous perseverance, tremendous will. “I will rink the ocean,” says the persevering soul, “at my will mountains will crumble up.” Have that sort of energy, that sort of will, work hard, and you will reach the goal. To talk of evil and misery is nonsense, because they do not exist outside. If I am immune against all anger, I never feel angry. If I am proof against all hatred, I never feel hatred. Tremendous purity, tremendous renunciation, is the one secret of spirituality. “Neither through wealth, nor through progeny, but through renunciation alone is immortality to be reached,” say the Vedas. “Sell all that thou hast and give to poor, and follow me,” says the Christ. So all great saints and prophets have expressed it, and have carried it out in their lives. How can great spirituality come without renunciation? Tremendous purity, tremendous renunciation, is the one secret of spirituality. How can great spirituality come without renunciation? 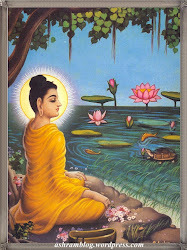 Renunciation is the background of all religious thought wherever it be, and you will always find that as this idea of renunciation lessens, the more will the senses creep into the field of religion, and spirituality will decrease in the same ratio. Truth, purity and unselfishness—wherever these are present, there is no power below or above the sun to crush the possessor thereof. Equipped with these, one individual is able to face the whole universe in opposition. Truth, purity, and unselfishness—wherever these are present, there is no power below or above the sun to crush the possessor thereof. Equipped with these, one individual is able to face the whole universe in opposition. Try a little harder, and meditation comes. You do not feel the body or anything else. When you come out of it after the hour, you have had the most beautiful rest you ever had in your life. That is the only way you ever give rest to your system. Not even the deepest sleep will give you such a rest as that. We are suffering from our own karma. It is not the fault of God. What we do is our own fault, nothing else. Why should God be blamed? We can never lose what is really ours. Who can lose his being? Who can lose his very existence? If I am good, it is the existence first, and then that becomes colored with the quality of goodness. If I am evil, it is the existence first, and that becomes colored with the quality of badness. That existence is first, last, and always; it is never lost but ever present. We get caught. How? Not by what we give but by what we expect. We get misery in return for our love: not from the fact that we love but from the fact that we want love in return. There is no misery where there is no want. Desire, want, is the father of all misery. Desires are bound by the laws of success and failure. Desires must bring misery. We get caught. How? Not by what we give but by what we expect. We get misery in return for our love; not from the fact that we love, but from the fact that we want love in return. There is no misery where there is no want. What about this marvelous experience of standing alone, discarding all help, breasting the storms of life, of working without any sense of recompense, without any sense of putrid duty, and of working a whole life, joyful, free — not goaded on to work like slaves by false human love or ambition?Nature grinds all of us. Keep count of the ounce of pleasure you get. In the long run, nature did her work through you, and when you die your body will make other plants grow. Yet we think all the time that we are getting pleasure ourselves. Thus the wheel goes round. What I want is muscles of iron and nerves of steel, inside which dwells a mind of the same material as that of which the thunderbolt is made. What is material and what is not material? When the world is the end and God the means to attain that end, then that is material. When God is the end and the world is only the means to attain that end, spirituality has begun. What is material and what is not? When the world is the end and God is the means to attain that end, that is material. When God is the end and the world is only the means to attain that end, spirituality has begun. What is the use of talking of one’s mistakes to the world? They cannot thereby be undone. For what one has done one must suffer; one must try and do better. The world sympathizes only with the strong and the powerful. What is the world that is to be given up? It is here. I am carrying it all with me. My own body. It is all for this body that I put my hand voluntarily upon my fellow beings, just to keep it nice and give it a little pleasure; [all for this body] that I injure others and make mistakes. What the world wants is character. The world is in need of those whose life is one burning love–selfless. That love will make every word tell like a thunderbolt. Awake, awake, great souls! The world is burning in misery. Can you sleep?Work unto death–I am with you, and when I am gone, my spirit will work with you. This life comes and goes–wealth, fame, enjoyments are only of a few days. It is better, far better, to die on the field of duty, preaching the truth than to die like a worldly worm. Advance! What the world wants is character. The world is in need of those whose life is one burning love—selfless. That love will make every word tell like a thunderbolt. Aware, awake, great souls! The world is burning in misery. Can you sleep? What the world wants today is twenty men and women who can dare to stand in the street yonder and say that they possess nothing but God. Who will go? Why should one fear? If this is true, what else could matter? If it is not true, what do our lives matter? Whatever you believe, that you will be. If you believe yourselves to be sages, sages you will be tomorrow. There is nothing to obstruct you. When we can attach the mind to—or detach it from—the sense at our will, we shall really possess character. Then alone we shall have taken a long step towards freedom; before that, we are mere machines. Where God is, there is no other. Where the world is, there is no God. These two will never unite. Like light and darkness. That is what I have understood from Christianity and the life of Jesus. Isn’t that also Buddhism? Isn’t that Hinduism? Isn’t that Islam? Isn’t that the teaching of all the great sages and teachers? Where God is, there is no other. Where world is, there is no God. These two will never unite. Like light and darkness. Who will bring light to the poor? Who will travel from door to door bringing education to them? Let these people be your God—think of them, work for them, pray for them incessantly. The Lord will show you the way. Work a little harder at meditation and it comes. You do not feel the body or anything else. When you come out of it after the hour, you have had the most beautiful rest you ever had in your life. That is the only way you ever give rest to your system. Work unto death—I am with you, and when I am gone, my spirit will work with you. This life comes and goes—wealth, fame, enjoyments are only of a few days. It is better, far better, to die on the field of duty, preaching the truth, than to die like a worldly worm. Advance! You must avoid excessive merriment. A mind in that state never becomes calm; it becomes fickle. Excessive merriment will always be followed by sorrow. Tears and laughter are near kin. People so often run from one extreme to the other.